This afternoon, the Judges’ Hill / Arts District community received terrible news: Sagra Trattoria and Bar will be closing on November 18th, due to the failure of their landlord, Granite Properties of Texas, to renew their lease after five successful years. See the restaurant’s full statement here. This is ridiculous, and sad news for not only the hardworking and talented staff of Sagra or for those of us who are neighborhood regulars, but also for the entire Austin foodie community. 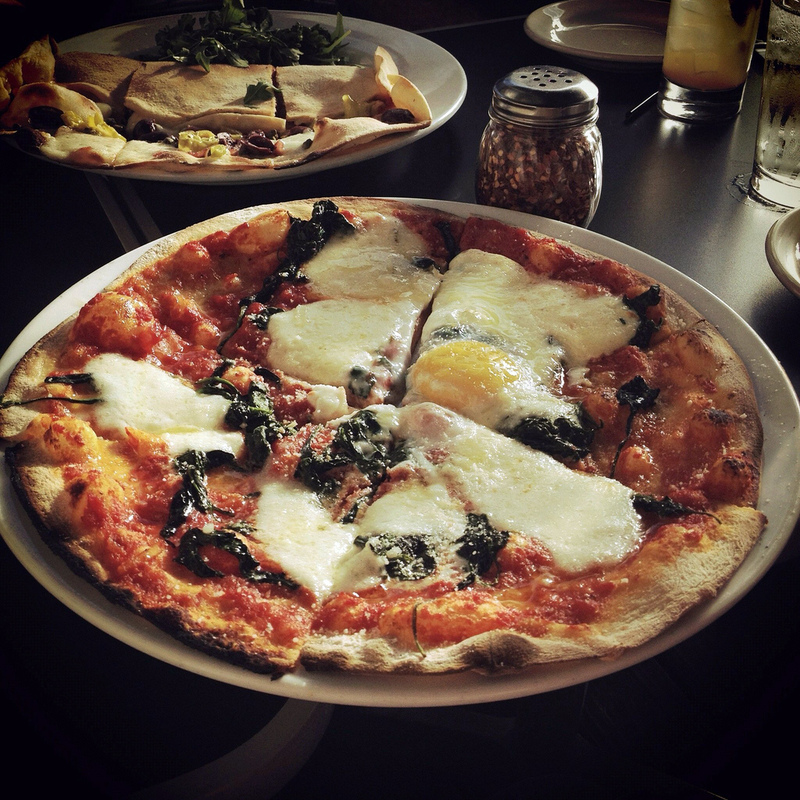 Sagra has been a leader in Austin’s farm-to-table and local food movement. They have their own greenhouse, supplying a large proportion of their vegetables and herbs, and an in-house horticulturist. And their food is among the freshest and best in Austin; they have a casual yet elegant dining room, a cozy and romantic bar, and two patios (one in the front, on San Antonio street, and one in the back). As residents of the neighborhood (I’ve lived on the next block over for six and a half years), my partner and I are regulars at Sagra, both for weeknight happy hours and for special occasions (in fact, I’ve spent two of my own birthdays there, as well as that of my best friend). Contrary to what their landlord seems to think, Sagra’s presence in the Judges’ Hill neighborhood is warmly welcome, including their wonderful, European-style sidewalk patio. There are not even any residential units near Sagra—in fact, the view from their front door is of a multi-story UT parking garage. 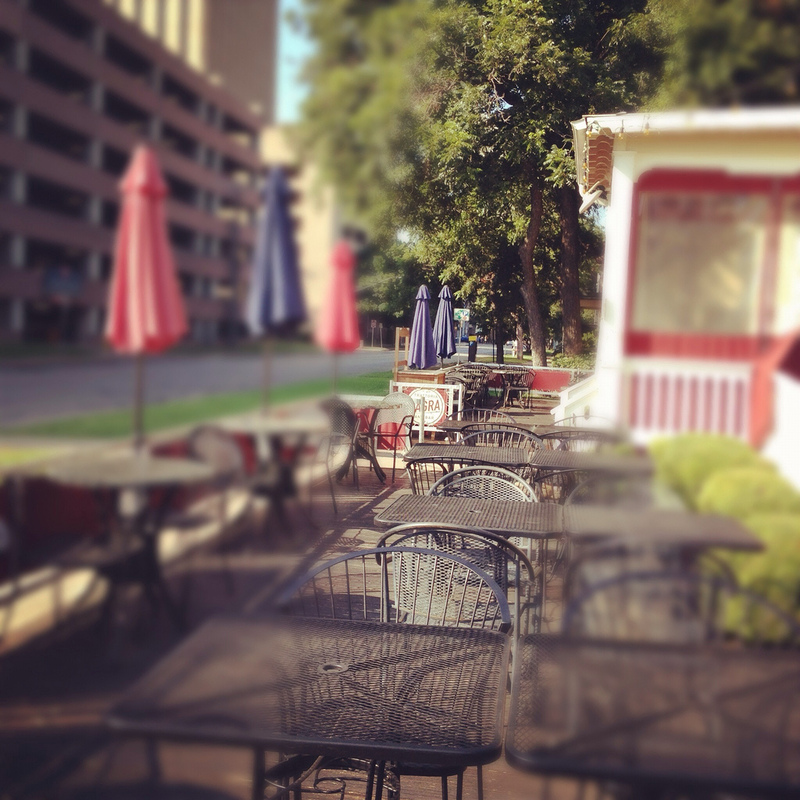 Far from being a nuisance, the Sagra patios provide a beautiful oasis in the middle of a heavily used pedestrian and cyclist route between campus and downtown. 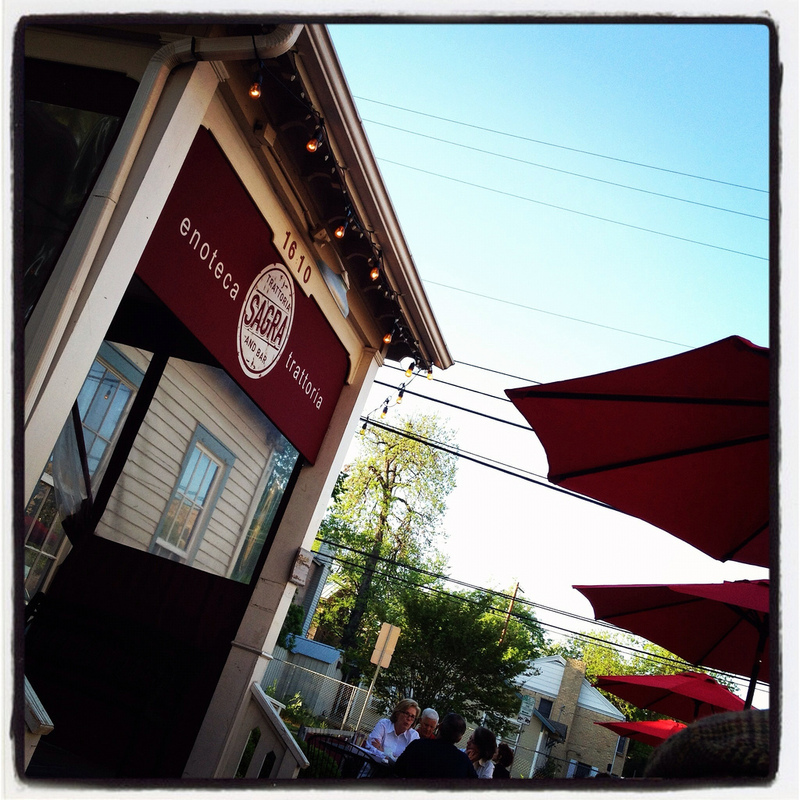 As residents, we had hoped that Sagra’s success would lure more, similar outdoor establishments to our little corner of town. I have written to Sagra’s landlord, Granite Properties of Texas, who are already listing the property for lease, to share my opinion as a Judges’ Hill resident and Sagra regular. Please join me in contacting them and asking them to renew Sagra’s lease. Join the Save Sagra Facebook page. Sagra – Gabriel Pellegrini, Chef & Owner from Christian Remde on Vimeo. This entry was posted in Austin, Locavore, Other Randomness by Susan. Bookmark the permalink.